Elite Cabins and RV Park offers complete on-site propane services. We are conveniently located right off Interstate 20 in Big Spring, TX and strive to fill your RV, truck, or propane tank quickly and safely. Our service center is open from 9:00 a.m. to 5:00 p.m. Monday through Friday, and by appointment on the weekends. We offer competitive propane prices in order to help you avoid the hassle of finding better rates. By offering propane tank refill services, our intent is to provide comprehensive, on-site services for all of our guests. As your hosts, we welcome your questions, comments and concerns at 432-393-5355. Propane allows our RV’s to be places of comfort and is actually the ideal energy source for RV’s and other similar vehicles. Why? Propane is easily portable, has a long shelf life, and it is safe to use. However, propane is still powerful and can be quite dangerous. The phase “with great power comes great responsibility” was true for Superman and can be said of propane as well: propane is a wonderful resource, but must be handled with care. To make sure that your propane system is functioning like it should, be sure to check it regularly. Inspect all aspects of your propane tanks for wear and tear as well as rust and corrosion. You will also want to inspect the brackets and mounting hardware. If you want error on the side of safety, ask a professional to check out your system to make sure that it is still working well. You will also want to check your appliances that are powered by propane. These appliances include the refrigerator, stove, furnace, and other appliances. 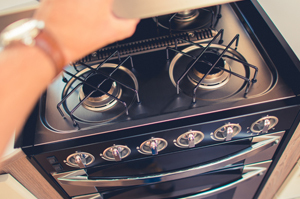 You will want to check the propane supply lines of each appliance to make sure that they are intact and not rubbing up against anything that could possibly tear or puncture them. A great failsafe is to install detectors that will alert you if there is a leak. You will want to install propane, carbon monoxide, and smoke detectors, and a Class BC fire extinguisher. Installing these devices and having a fire extinguisher can give you peace of mind knowing that just incase you missed something, you and your family will be alerted if there is the smallest chance of an issue. Additionally, you should check your propane vents to make sure that there isn’t any debris like twigs, sticks, insects, dust, and pests in your vents that can hinder your vent from fully functioning. 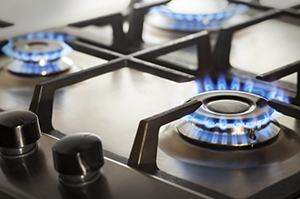 A propane leak isn’t something to take lightly. A leak can not only be destructive and obliterate your RV, but it can also be deadly. If you smell gas, take action right away! The plan of action is to call the professionals right away — call 911 or the local fire department! However, there are some things you can do to keep yourself, your RV, and your family safe until the professionals get there. Put out all flame in the area including pilot lights, cigarettes, and do not operate any devices that could initiate a spark such as a cell phone, appliances, or lights. If the propane is ignited, it could cause an explosion. If you are safe to do so, turn off the supply valve. Depending on where the leak is, this can keep more propane from leaking into our RV and the surrounding area. Open doors, windows, and any other means of ventilation to allow the gas to leave the area. It is important to get the propane out of your RV as soon as possible. Allow the gas to naturally dissipate out the window. Do not turn on a fan or any other electrical device. If you can do any of the above safety measures, then that is best. However, your safety is paramount and dealing with a propane leak is extremely dangerous. Call 911 or the local fire department immediately! A propane leak isn’t something to take lightly — get help right away! Before you return to your RV, turn it on, or turn on any other electrical device nearby, have your propane system inspected by a service tech. They will inspect your entire system and can give you the go ahead when it is safe to return to your RV and life as usual. 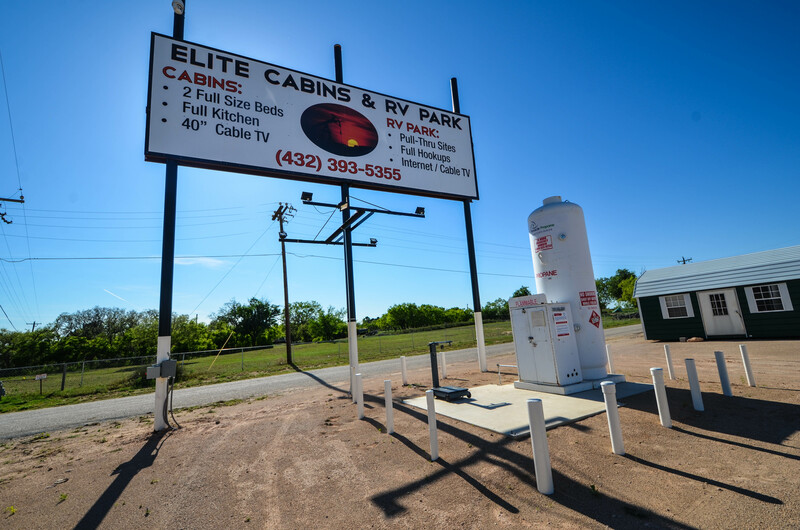 We at Elite Cabins and RV Park are happy to provide propane services to those staying in our RV park. Always check with a professional propane technician whenever you have any questions about your propane tank and system. As we have reiterated several times, propane can be extremely dangerous if your system is not properly maintain. Have peace of mind and keep enjoying traveling in your RV when you keep up your RV.